In early 2017 the City finalized plans to be implemented upon the transfer of the Bluffs Open Space Preserve to City ownership. Those plans include three ball fields with back stops that will block views of the sea, coastline, and hills. The City of Malibu intends to change a large portion of the bluff top from passive recreation to active recreation. This will mean loss of unique open space and views. Almost the entire Bluffs Open Space Preserve is mapped as an Environmentally Sensitive Habitat Area (ESHA). 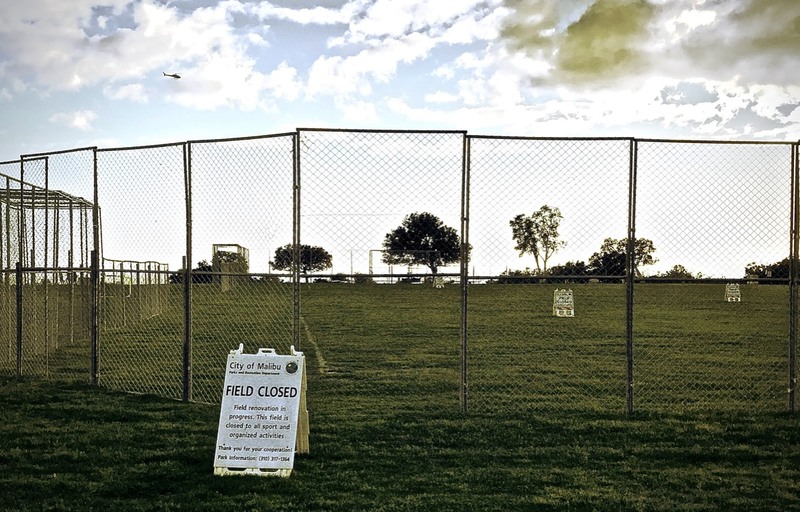 Ballfields were photographed recently when fields were closed due to "restoration" and maintenance. The City’s proposed use in this ESHA doesn’t meet the requirements of its own land use laws. Under Malibu Local Implementation Plan, the area where the ball fields are to be located is mapped ESHA. With both the blue line streams onsite and the Coastal Sage Shrub Habitat also designated as ESHA there is very little that is not ESHA on these 84 acres. In fact, the central portion of the site — where the ballfields are proposed — is entirely ESHA. This particular area's habitat preservation is vitally important, and its habitat sensitivity meets the definition of Sensitive Coastal Resource Area. MOSA additionally supports City baseball fields and other needed sports amenities but not at this one-of-a-kind environmentally sensitive and significant location. The ball field site was graded illegally in 2008. This is verified in the August 28, 2008 article in the Malibu Surfside News. The article quotes Santa Monica Mountains Commission (SMMC) Executive Director Joe Edmiston commenting that an acre or more of vegetation in the center of Bluffs Park had been "scoured,” http://209.197.71.25/archives/08212008.pdf. 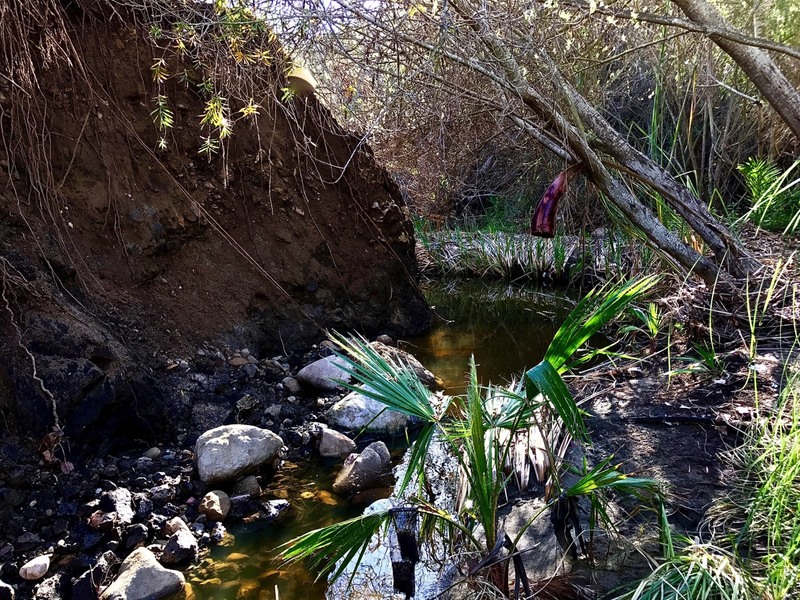 The California Native Plant Society (CNPS) has studied the area and has found that the ESHA has recovered and other areas can be restored. In 2007 a fire swept through the section of Bluffs Open Space Preserve where the proposed ball fields are to be located. But this EIR — done at the behest of the SMMC — erroneously jumped to conclusions too quickly. It had only been three years since the fire. Annual Grassland returns first after a fire. Native Grassland and plants take a long time to recover. And The Malibu Local Coastal Program (MLCP) states ESHA destroyed by fire must be allowed to restore itself. Restoring itself is exactly what has been happening at this site — even despite the recent drought! According to a California Native Plant Society document based on Spring 2016 plant surveys at Bluffs, the SMMC statement was superficial at best. Referring to the SMMC EIR, the CNPS report stated, "Documents prepared in 2009 and 2010 declared the ESHA to be all weeds and to have lost all natural resource value. [But] the development plans came to the conclusion by using a very broad vegetation classification list similar to that used by the California Department of Forestry and CalFire for their fire management programs. The classifications . . . are essentially useless for determining the natural resources present on the Malibu Bluffs . . . . By 2008 and 2010 the root sprouting shrubs would be several feet tall and the fast-growing grasses would be hiding many native young plants that would have germinated from underground seed banks. To a casual observer standing on a trail, the field might look dominated by grasses, but closer searches would have revealed many native species recovering from the effects of the wildfire." As of 2016 the burnt ESHA has significantly recovered despite five years of drought. If there had been no drought, MOSA believes it is safe to say the ESHA would have been recovered fully already. Not only has the Coastal Sage Scrub Habitat rebounded but there is Rare Purple Needle Grass in the proposed central development area of Bluffs where the proposed ballfields are to be situated. To a casual observer standing on a trail, the fields might look to be dominated by grasses, but closer searches would have revealed many native species recovering from the effects of the wildfire. Despite the drought, the ESHA miraculously has been restoring itself and legally this process is required to continue. Three different park surveys asked Malibu residents what they would like to see on the 84-acre Bluffs site. Input from the wider public beyond Malibu boundaries was not sought. This land was acquired with taxpayer money as a state park for open space. When the state transferred the 84 acres to the Conservancy, the language was clear that it would be transferred as open space, for passive recreational uses, and to preserve the property as habitat. If the City is allowed to develop the ball fields, parking lots and driveways, this natural resource area will not be protected from overuse and public access. If the bluff top is developed it no longer will be for the people of the state. It will have been transformed to a local park for use by the residents of Malibu, depriving visitors of public access to and use of the park. The City may claim the nonresident public still will be able to use a portion of the 84 acres, but most of the uses will be for Malibu resident and City purposes. Visitors no longer will be able to enjoy the respite from city life that nature provides without the intrusion of the noise and visual impacts of a developed area. A deed restriction should be placed on the 84-acre Bluffs Open Space Preserve so that it will remain as open space forever. Unlike baseball and soccer, hiking is an outdoor activity that does relatively little harm to nature. Bluffs Open Space Preserve is an area possessing significant recreational, habitat value and ocean views. Prior to the purchase of the SOKA property, the Bluffs was the location earmarked by the State for the National Recreation Area visitor center. The City recognizes the importance of the location and wants this land for its active recreation because of its central City location for all City residents. Bluffs Open Space Preserve is one of the rare open space areas in the Santa Monica Mountains National Recreation Area that is easily accessible by public transit. A convenient bus stop enables direct access to the park from all parts of Los Angeles. The combination of easy access, walking trails, incredible ocean and mountain views and three adjacent beach access ways make this park an exceptional recreation value for all including low income park visitors who may have difficulty reaching the more remote portions of the SMMNRA, like Charmlee Wilderness Park. 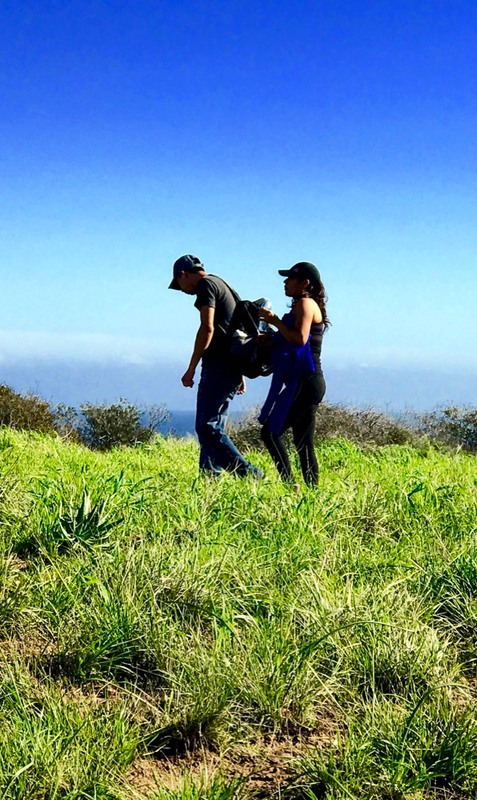 Malibu Bluffs Open Space Preserve is centrally located and easily accessible to visitors. 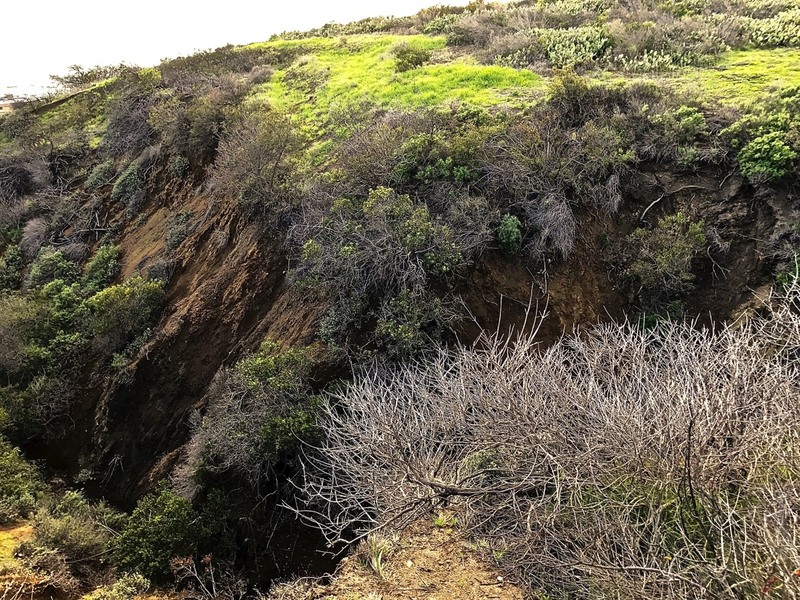 Malibu City Council created a plan for Bluffs Open Space Preserve that exerts power over nature destroying the harmonious symbiosis of the Preserve. Excessive Land Form Alteration would be required for the ball fields, parking lot, and driveway. Because the bluff top gradually slopes toward the ocean and includes two canyon streams, excessive land form alteration would be required for the ball fields, parking lot and driveway. To build large flat surfaces for ball fields would entail an enormous amount of land alteration, including possible terracing, at great expense. Two-way roads, two new entrances, two parking lots and retaining walls as much as 15 feet high would create large areas of impenetrable hardscape obliterating the natural character of the bluff top setting. The excessive amount of grading required is unsuitable for an open-space preserve. Construction is inevitably disruptive to existing habitat. The proposed plan for Bluffs Open Space Preserve disregards ignores the wildlife and plant habitats. The extensive proposed ball fields, driveways and parking lots would fragment habitat, making it more difficult for existing species to survive. Placing ball fields will bring high volumes of spectators, vehicles, noise and litter into previously undisturbed habitat. There should be no habitat fragmentation. With irrigation and fertilization of grassy fields, the chemical and nutrient balance in runoff water will be altered, possibly destroying sensitive and unusual water plants in streams and cascades at Bluffs Open Space Preserve. Bluff slopes. canyon and ravine walls within the Bluffs area rapidly erode during rainy and windy weather and even during summer months. Because there have been major landslides in this area before, care must be taken to avoid adding unnatural water to the Bluffs area. Water seeps underground and travels south toward the sea. The Bluff Top area would require regular watering, but with houses in the way of the water run off — just south of the Bluffs ball fields — this is unwise. Fertilizers also would contaminate the water which then flows onto the beaches and into the ocean. With additional ball fields at Bluffs Open Space Preserve, traffic along Pacific Coast Highway will increase as youth soccer and baseball teams will play teams from other areas on a regular basis and also participate in Southland, state and other tournaments. Difficult access at west end of park which may require a 15-foot retaining wall. An entrance across from John Tyler Drive would require a huge cut through the hillside to meet the highway grade. Access from the west-bound lanes at John Tyler Drive would require a left turn lane on PCH and a traffic light with a green arrow left-turn signal. Access to and from the ball fields parking lot through the existing parking lot on the east end is not practical. Gridlock could result whenever there are simultaneous games because of the large number of vehicles in the park. And additional playing fields would create more simultaneous games. 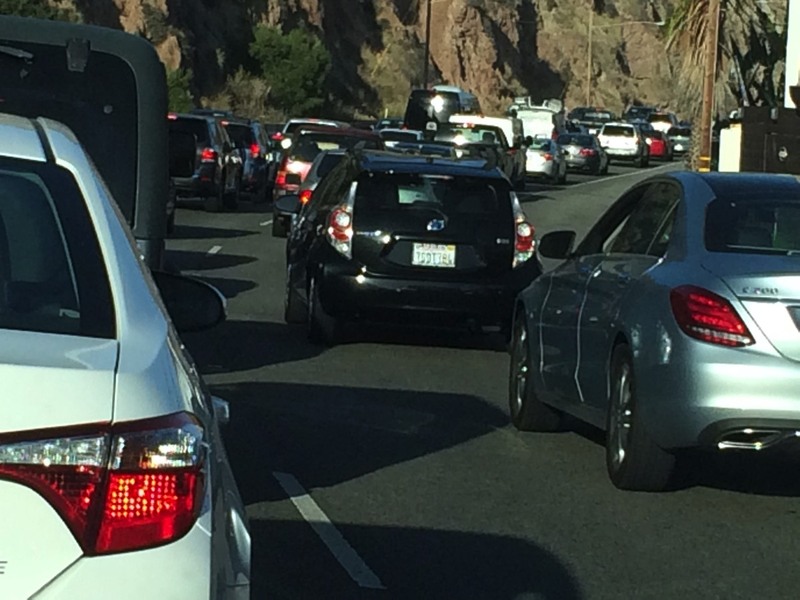 Traffic difficulties could occur within the park and on PCH. Proposed parking may be inadequate because most uses are related to events with a great number of spectators who will enter and exit simultaneously. Traffic would increase on PCH, which is already over-burdened on weekends. Locating three new ball parks at Bluffs Open Space Preserve is not worth risking stability of this area, particularly as it is situated above homes that could be endangered by slides.